The Hotel Divya provides comfortable rooms within a pocket-friendly price range. All rooms have been decorated nicely and the attention paid to minute details is really admirable. The rooms are quite spacious, well-furnished and well-lit. Color combination used in the rooms is monochromatic and the only element of color is the cushion. 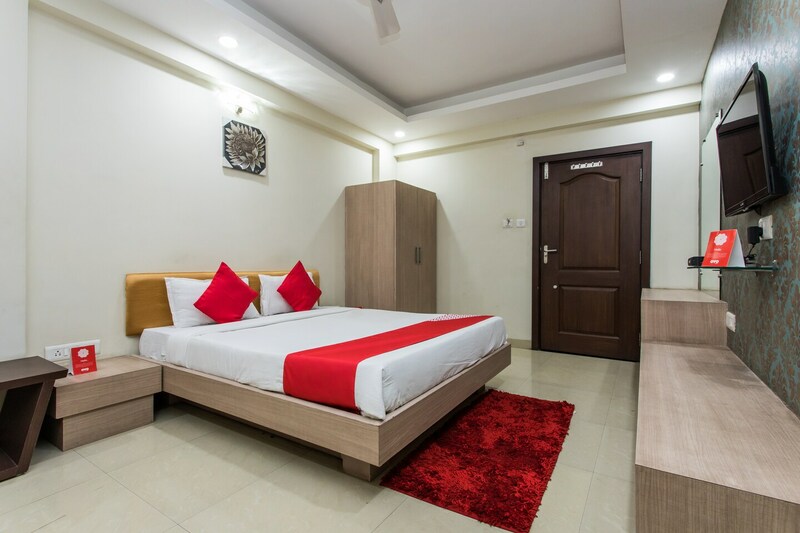 The additional features provided by the hotel are free Wi-Fi, a constant power backup supply, parking lots, card payment in all forms, an elevator facility, laundry provisions, and CCTV cameras. The in-house facilities comprise a restaurant, a banquet hall, a conference room, and a common dining area. All these facilities enhance the overall experience. a team of dedicated and hardworking staff is responsible for the maintenance of this property.